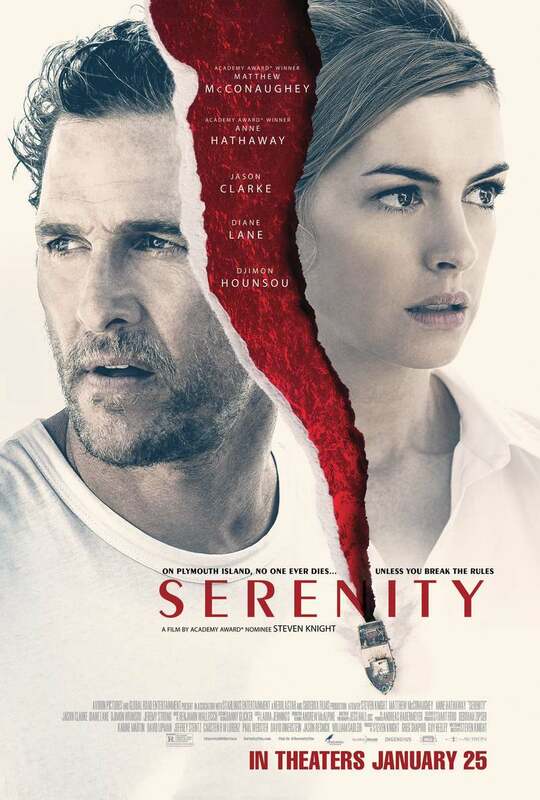 Serenity DVD and Blu-ray release date is set for April 30, 2019 and available on Digital HD from Amazon Video and iTunes on April 23, 2019. Fishing boat captain Baker Dill leads a quiet life as he provides tours in the beautiful waters near Plymouth Island. Despite trying to live in solitude and peace, Dill is soon wrapped up in a much more complex situation. His ex-wife Karen shows up seeking help for her and her son. She asks Dill to get rid of her new violent husband in the ocean waters for good. Now Baker must contemplate the weight of his decisions while he also questions the reality of this new situation. DVDs Release Dates is the best source to find out when does Serenity come out on DVD and Blu-ray. Dates do change so check back often as the release approaches.